This blog post provides a brief review of the newly released book from Mohamed Aamer on Financial Management in Dynamics AX 2012 R3. The book is separated into ten different chapters comprising General ledger, Bank management, Accounts payable, Accounts receivable, Fixed assets, Inventory costing, Cash flow forecast, Financial dimensions, and Financial reporting. In the following, I will provide a brief summary of each chapter. The first chapter starts off with a general introduction on ERP systems including the characteristics of an ERP system, the roles and responsibilities of the implementation team members and so on. 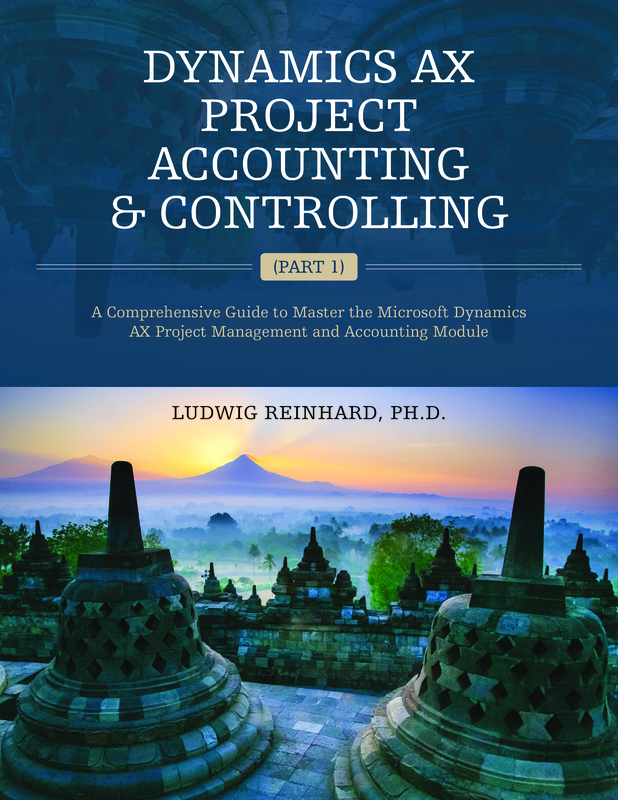 Especially people who have not worked on an ERP project before will find this information very helpful while experienced Dynamics AX users might probably want to skip the first ten pages. After this general introduction the book continues with explaining details of the Dynamics AX user interface including posting types, menus, favorites, etc., all of which can be very helpful for improving daily working routines in Dynamics AX. Within the second chapter the Dynamics AX chart of accounts is explained in detail comprising main account types, main account categories and various available account controls. All topics are well explained and helpful in order to avoid posting errors in Dynamics AX. After explaining the chart of accounts, the book focuses on shared financial data. This section is supported by a very good and illustrative graph. Yet, due to the importance of shared financial data management, I find this section a bit short. The chapter continues with a section on sales taxes, which is well illustrated as it allows new Dynamics AX users (or those who have not worked with sales taxes in Dynamics AX before) getting a good and quick overview on the topic. The last part of this chapter focuses on the transfer of open balances and performing daily accounting transactions. While the latter part provides several very useful hints for using Dynamics AX features that can alleviate one’s daily work, I disagree with the approach that is suggested for transferring opening balances in the first part. To be more specific, it is suggested to use an error account as the offset account for the transfer of opening balances. From an accountant’s perspective this is something I would not support and rather use separate transfer accounts for the different subledgers. Chapter 3 focuses on the setup and use of the Cash and bank management module. It starts off with some general setup features for bank accounts such as credit limits, date activation fields, etc. and continues with a section on bank account reconciliation. Within the bank account reconciliation section the traditional and advanced bank account reconciliation features are explained. What is missing though is a bit more information on how to setup and use the advanced bank reconciliation feature as this is always an important issue in most Dynamics AX projects. The chapter concludes with a very detailed section on “letter of guarantees”. Based on the explanations provided everybody should be able to setup and use this feature easily. Yet, also here I miss another sub-section on letter of credits which are used quite often in practice. With a length of almost 60 pages, the chapter on Accounts payable is the most comprehensive one. Within the first several pages of this chapter the author explains the Accounts payable module integration based on the purchase-to-pay process. Thereafter, the most important vendor master data and related setups for finance users are described. Especially the setup of the vendors’ terms of payments is nicely explained based on an illustration that immediately shows the effects that setup changes have on the calculated due date. The vendor master data section continues with a brief section on the setup of the methods of payments, cash discounts and vendor holds before the invoice matching features are explained. For the last part mentioned – invoice matching – the author provides several good illustrations and examples that can immediately provide some guidance for the daily work in the Accounts payable module. The chapter concludes with explaining the differences in handling purchase order invoices and non-purchase order related invoices, related prepayment invoices and the vendor settlement procedures in Dynamics AX. The only thing missing in this chapter is a note on how to handle sales taxes on prepayments. Yet, as sales taxes are always country-specific, this is probably something that cannot be expected here. The chapter on Accounts receivables is similarly structured as the chapter on Accounts payables. That is, initially the Accounts receivable module integration based on the order-to-cash process is explained. Thereafter, various master data and setup features are shown before the setup of method of payments, cash discounts, customer holds, etc. are presented. The first major difference to the previous chapter is the section on credit limit management where the author nicely explains the standard Dynamics AX functionalities. The next differences are the sections on sales order invoicing, free text invoicing and generating free text invoice corrections. Finally, a brief overview on the customer settlement process is provided. What falls short in this last section is a more detailed and comprehensive explanation of the available automatic settlement features and the integration with the aforementioned advanced bank reconciliation functionality. In this chapter the basic setup and usage of the Fixed asset module – starting from the setup over the acquisition, depreciation and disposal of fixed assets – is explained. Due to the numerous details provided, almost no question on the basic functionality of this module remains open. Yet, despite all the details and information provided, in a book on financial management, I would expect some additional information on advanced finance topics such as linking different fixed asset value models, transferring fixed assets between cost centers, best practice procedures on migrating large numbers of fixed assets, etc. The Cash flow management features are probably not the spearhead of the Dynamics AX finance functionalities. Yet, the book nicely explains how to configure cash flow forecasting in the different Dynamics AX modules and shows what effects those configurations have on the cash in-flows and cash out-flows that are reported in the currency requirement form. The only thing missing in this chapter is a hint on the ability to retrieve and report on cash flow data in the Dynamics Management Reporter. Cost Management is one of the more complex areas in Dynamics AX. That is because of the full integration of the different Dynamics AX modules and the subsequent need to “see beyond one’s own nose”. In other words, a complete setup of the cost management in Dynamics AX requires some knowledge on items, warehousing, production, etc. Despite this complexity, the author provides an excellent concise and comprehensive overview on this topic by focusing on the major integration points that have an influence on finance & accounting. The chapter ends with some hints on how to setup the inventory value report that can be used for reconciling inventory and General ledger. Within the next-to-last chapter on financial dimensions, the ledger account segmentation and the creation of new financial dimensions are illustrated. The author also shows the reader how to configure the account structure and advanced rule structures. Within the last section of this chapter some hints on financial dimension reporting are provided. The only qualification that I can make here is that no hint on the integration and relationship to the Dynamics AX organizational hierarchies is provided. The last chapter on financial reporting and analysis summarizes the different reporting features that Dynamics AX users can use in their daily work. Due to the various financial reporting options available (e.g. inquiry forms, SSRS reports, SSAS cubes, auto-reports, etc.) the reader is provided with a comprehensive section that serves as a starting point for further investigation. In summary, I find the book “Microsoft Dynamics AX 2012 R3 Financial Management” a very good introduction to the different finance & accounting areas in Dynamics AX. The information and explanation provided in the book can at best – if at all – be found in numerous Dynamics AX training materials, documents, websites, etc. that require much time and effort to investigate and analyze. Despite those advantages the book remains an introductory book on financial management in Dynamics AX that focuses mainly on people that are new to Dynamics AX. 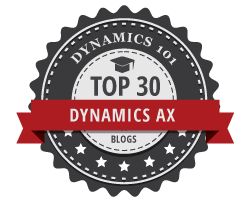 50 more tips and tricks for Dynamics AX 2012 (volume 3). As one can identify, the only difference between the books is in chapter 4 and chapter 5. In the following, I will give a brief summary of each chapter before concluding with a brief summary. The first chapter in each volume focuses on tricks that are mainly for users that are new to Dynamics AX. A major focus in this chapter is made on searching and filtering data and on how to organize and work with the desktop client in a ‘smart’ way. Examples: Adding fields to summary tabs, configuring the status bar, identifying records with attachments, setting forms to automatically open in edit mode, converting records into templates, processing multiple records at once, using shortcuts, etc. While long-time Dynamics AX users might already be familiar with most of the tricks described in this chapter, I am convinced that even they can find the one or the other trick they have not seen or used before. How to configure notes to print on standard forms. Whether or not you will find this chapter on office tricks helpful or not depends on the extent to which you use the MS office products in your daily work. If you use the MS Office products extensively – especially MS Word and MS Excel – you will find the office tricks in the first volume very helpful. The other volumes do not contain that many office tricks. Yet, in volume 2 you can find some interesting hints on the MS Outlook integration that I find worth reading. The first and second volume include a chapter on reporting tricks. Within this chapter you will be able to find many tips on using Power-View/-Pivot/-BI to analyze your Dynamics AX data. Especially those of you that have to prepare (financial) reports will find these tips very useful. Yet, be aware that some setups required for using those features might not be available in your company’s Dynamics AX system. 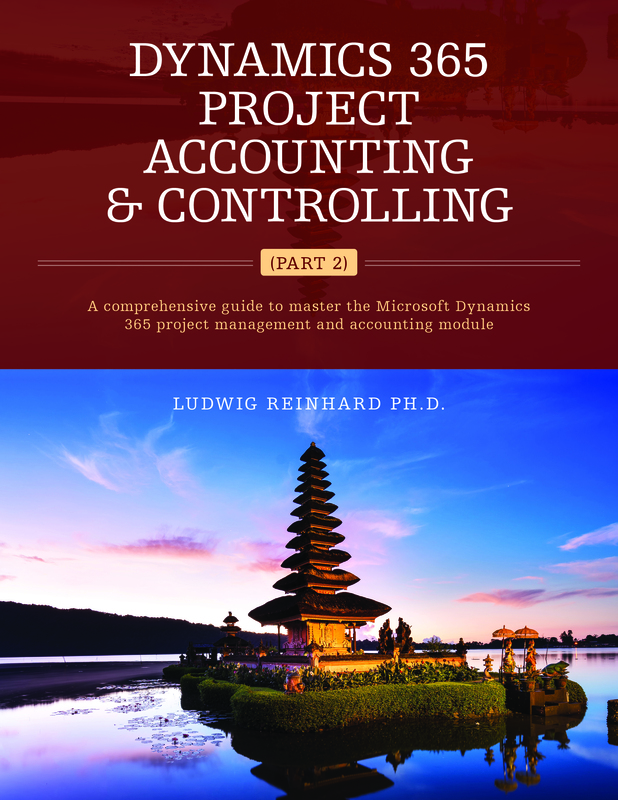 Another remark that I would like to make is that the reporting tips chapter is probably not the best starting point for those of you who just started or plan to start working with Dynamics AX. The second and last volume include a chapter on workflow tricks. If you are involved in setting up Dynamics AX you might find the tricks that you can find here helpful. Yet, despite the fact that everyday work of many Dynamics AX users is heavily influenced by workflows, the tricks described in this chapter are probably not the ones I would start with. The system administration tips chapter is primarily focusing on Dynamics AX users with a technical background that have enhanced user rights. Many tricks, such as e.g. copying data from one partition to another one, restricting user access rights through roles, copying data between companies via the import export framework, etc., do only have an indirect influence on the daily work of most finance & controlling users. However, the sections on how to use alerts and the new Dynamics AX task recorder can be useful for every Dynamics AX user. In summary, all three books include numerous valuable tips and tricks that might help you in your daily work with Dynamics AX. Especially people who are new to Dynamics AX will find the first chapter on desktop client tricks helpful. A major advantage of all books is that you can just pick and read through the sections that are of interest to you. This fact makes the books very valuable for those of you that are busy and need to grasp things quickly. The only minor disadvantage that I could find is that the explanations in the one or other section could be a bit more detailed. This remark does, however, not influence my overall positive impression of the books.